are a great snack for kids and a breeze to make. They also freeze well, and can use sunflower seeds instead of almonds to make them school-safe. Preheat the oven to 350F. Line an 8×8-inch pan with parchment paper or aluminum foil. Put the dates, almonds, cereal, and cinnamon in a heavy-duty food processor. Process until ingredients are mixed well and the dough begins to stick together. Scrape the mixture into the prepared pan. Press evenly into the pan. Bake on the middle rack of the oven for 15 minutes. Cool 10 minutes before removing from the pan. Use the foil or parchment paper to help lift the bars out of the pan. 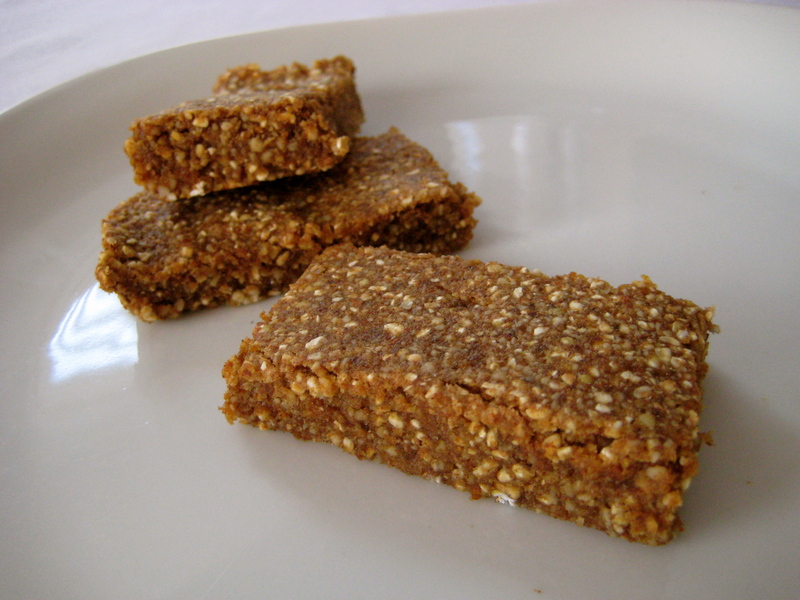 Cut into bars and enjoy warm, or cool completely. Wrap individually and store leftovers in the refrigerator or freezer for a snacks on-the-go.